The Centre for Science and Environment (CSE) in a recent study claimed after the fare hike last year, the Delhi Metro has become the second-most unaffordable service in the world among the cities that charge less than a US dollar for a trip. NEW DELHI:The environment think tank CSE clarified Friday its recent study on falling ridership of the Delhi Metro was not only about the trip cost but the total journey cost incurred by commuters, who because of poor integration of different systems end up paying a lot.The Centre for Science and Environment (CSE) in a recent study claimed after the fare hike last year, the Delhi Metro has become the second-most unaffordable service in the world among the cities that charge less than a US dollar for a trip.The report drew criticism by the DMRC and Union Minister Hardeep Singh Puri, who termed it as “misleading and falsifying facts”.The CSE clarified that while the Delhi Metro continues to play an important role in meeting commuting demand, the targeted improvement in share of public transport ridership will not happen on its own. Well thought-out fiscal and other policies for all systems will be needed.”The CSE study is not only about trip cost of the Delhi Metro, but about the total journey cost of commuters who, because of poor integration of different systems, poor connectivity and frequent interchanging of modes, end up paying a lot for commuting. Door-step connectivity is required,” the CSE said in a statement Friday. It said if not addressed immediately, Delhi and other cities will continue to suffer losses in public transport ridership. People will keep shifting to two-wheelers and cars which is not acceptable in cities facing serious public health and liveability crisis. In response to the DMRC’s objections to this selection of the nine cities and suggestion to look at other cities with large metro networks, the CSE said it used the same UBS data to examine the percentage of income spent on rail-based systems in some of these cities. It has found that other cities with larger networks – even in developed countries – are still far more affordable than Delhi. “In Delhi, the percentage of income required to use the metro system stands at 14 per cent. Compared to this, it is 2.9 per cent in Hong Kong, 6.6 per cent in Paris, 5.3 per cent in Beijing, 5.2 per cent in Seoul, 5.7 per cent in Shanghai and 4.6 per cent in New York. Even London is marginally better than Delhi with affordability of metro at 13.4 per cent. Thus, the DMRC’s argument about Delhi being more affordable than cities with large metro networks does not hold much ground,” it said. 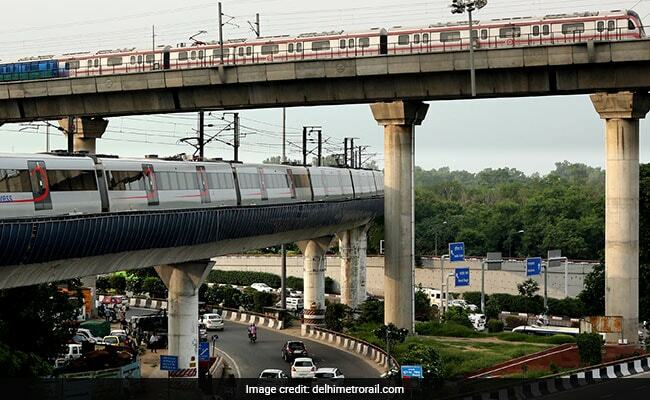 Calling DMRC’s estimate that a person spends 5.5 per cent of their monthly income on metro transportation “extrapolated”, the research body said the DMRC has not taken into account the income inequalities in the city. “Various studies support the threshold of 10-15 per cent of income that can be spent on transport as an upper cap for a system to be accepted as affordable. Using the 15 per cent yardstick, CSE finds that a sizeable number of households in lower income bracket can find it difficult to afford the Delhi Metro on a regular basis,” it added.